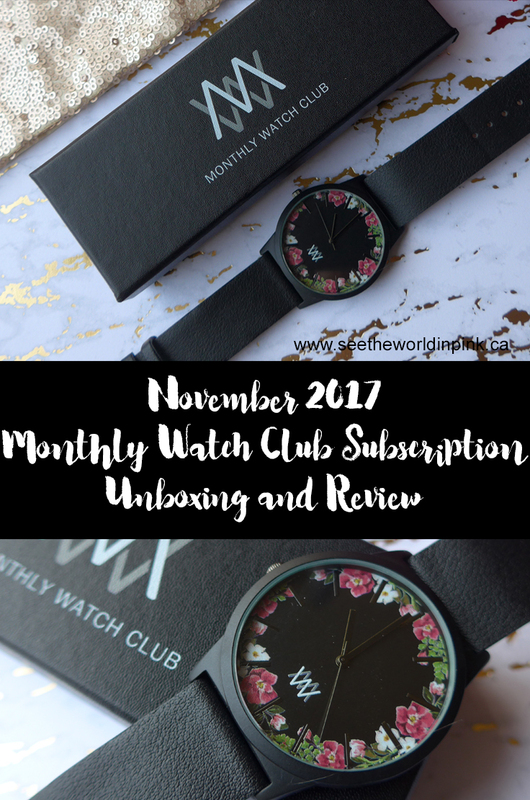 This is a look at the Female Monthly Watch Club for November and it is gorgeous! I'm usually drawn to floral patterns and I love the pop of colour on a black watch. I was actually really impressed with the quality of this watch as well! The bands were really nice - it was sturdy all around. I have been unfortunate enough to have subscribed to a few accessory subscriptions that send out really poor quality, so I can easily say this is not the case with Monthly Watch Club! Now, if you know someone who loves their watches or accessories - this would be a great gift for them! Or even yourself - if you want to expand you watch collection a little, I say this is worth checking out. It is a very niche subscription; but, they are really good quality watches so it is worth checking out! Have you tried a subscription like this before? !